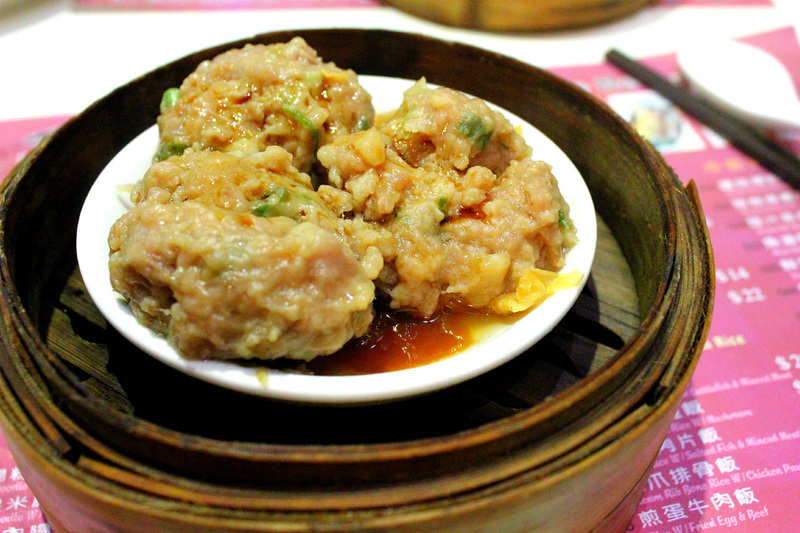 Food Hunt: One Dim Sum (一點心), Hong Kong Reviewed by acaciadee on July 7, 2014 . They say Hong Kong is a food paradise. I was constantly ravenous throughout the entire trip- which was so unlike me. 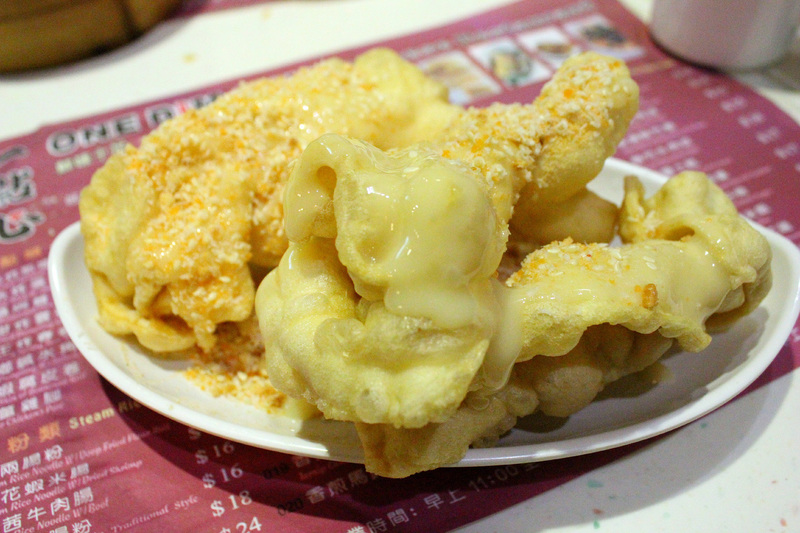 Not that I would starve myself during past vacations; I just wasn’t as famished as I was when in Hong Kong. My mind was relentlessly thinking about the next day’s lunch when we were still living the day before. It’s bonkers, I know. But hey, what’s vacationing in Hong Kong when we are not in constant hunt for local foods, huh? Getting around Hong Kong is really like in Singapore- MTR for Hong Kong, and MRT for the latter. Their subway is so efficient and really affordable. 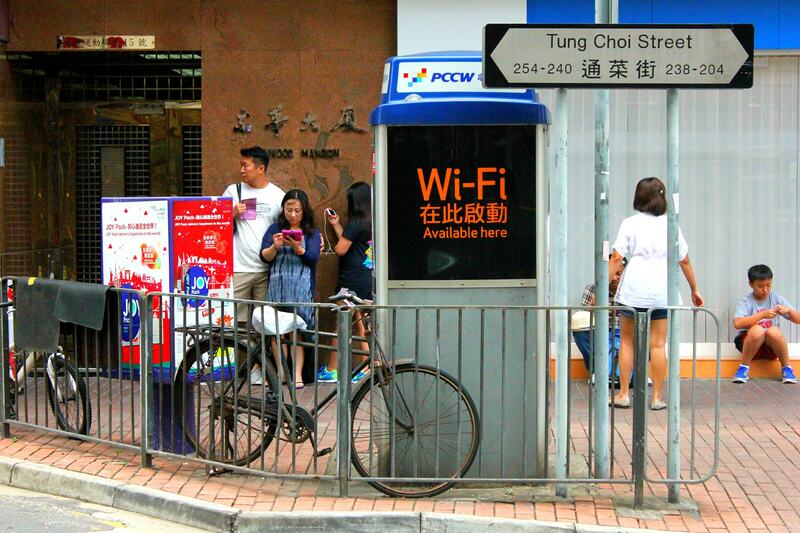 They operate with the Octopus card which can be purchased at the airport. 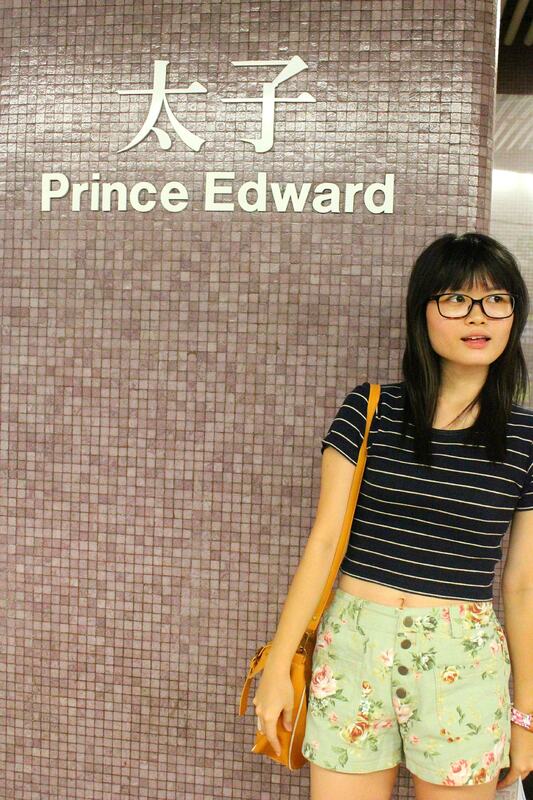 Alight at Prince Edward MTR station, and exit through Exit A. 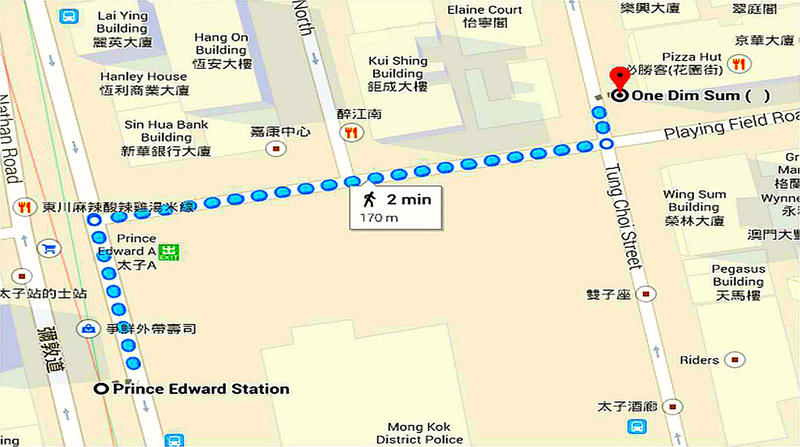 Turn right, walk (< 5 minutes) down Playing Field Road towards Tung Choi Street. J got our queue number upon arrival, and we waited along the street like everyone else until our number was called upon. I don’t know about the practices in other countries and restaurants per se, but back home, there isn’t a lot of restaurants that require us to get a queue number. And if the restaurants require so, they would have a queue number signage broadcasted outside the restaurant- so it was obvious. 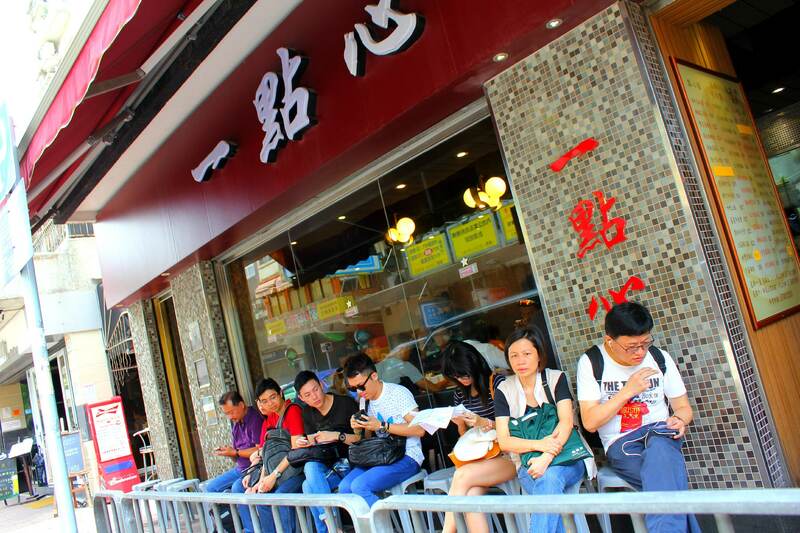 For One Dim Sum, it wasn’t so obvious as queue numbers were being call out, instead of broadcasted. Hence, we did saw some people who were clueless as they stood outside the restaurant thinking they should just wait; and only to realise they needed a queue number sometime later. Sharing a table is indeed really common as long as you are at a fairly decent eatery with small square metres of floor space. We just had to get use to it. After awhile, it becomes- Sharing (a table) is caring! 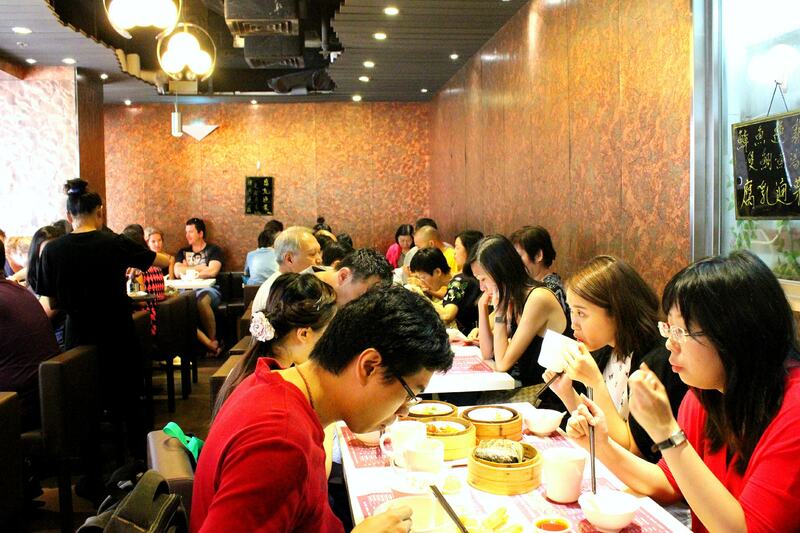 As usual, we split our orders into two sections, so we had time to savour the dishes and not feel inordinately overwhelmed by the meal as the table start to be awash with piling dim sums. First dish was Steamed Minced Beef Balls. The beef balls were good. Juicy as they were, and in a cosmos with the sauce drizzled on them. 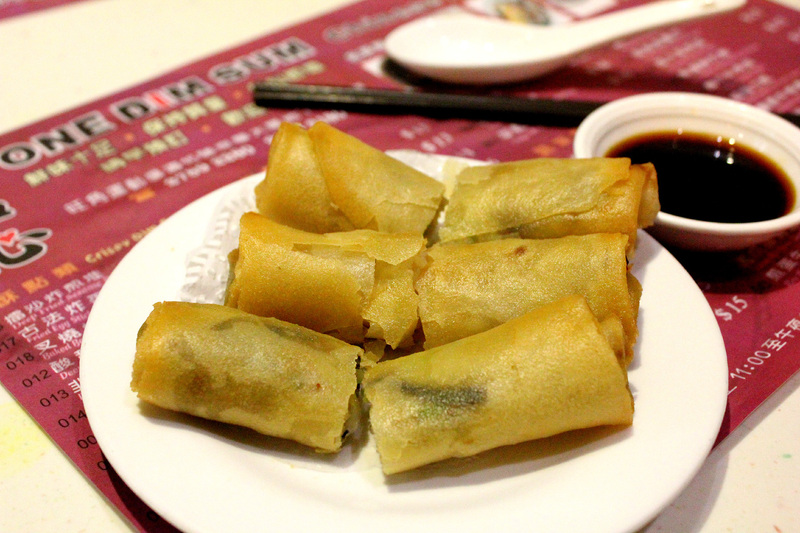 Next up was the Deep Fried Spring Rolls W/ Leeks (Popiah). Self- claimed as J’s favourite. Reason? 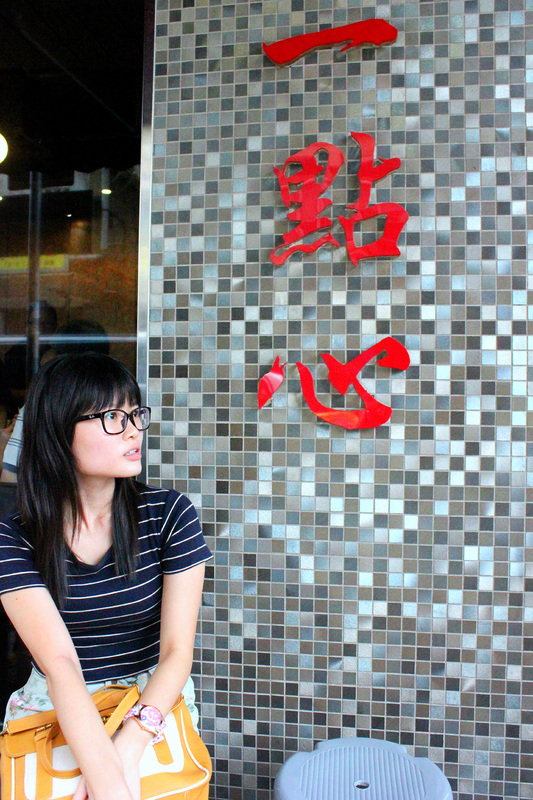 Every time we eat dim sum, she wants to order this. And every time I will try to stop her- for spring rolls are quite standard. I mean, how can spring rolls go wrong right? But somehow this time she prevailed, and we ordered. Based on my 2 cents, they tasted like any other spring rolls anywhere else really. It was alright; just nothing fancy. Next up was my worst nightmare- Fried Egg Stick (a.k.a Dan San). I have never tried this before, so when J said to order this I had no qualms. There are two options- either you have the Dan San with honey or condensed milk. We went with the latter because J said she read somewhere that it tastes better. For those who have never tried this before, let me try my best to describe the texture that lingered in my mouth. Dan San is an extremely crispy odd-looking thing (I am sorry, I don’t know how else to describe its shape). When I first bit through it, it was too brittle that it broke into a million crumbles in my mouth. Just imagine eating a mouthful or two of finely chopped biscuit crumbs- that was how it felt like in my mouth. The crumbs felt very airy and light. It was washed with an after taste of condensed milk. I do love sweet, and the condensed milk was suppose to be helping me deal with the explosion of crumbs happening in my mouth, but I guess it wasn’t of much aid. 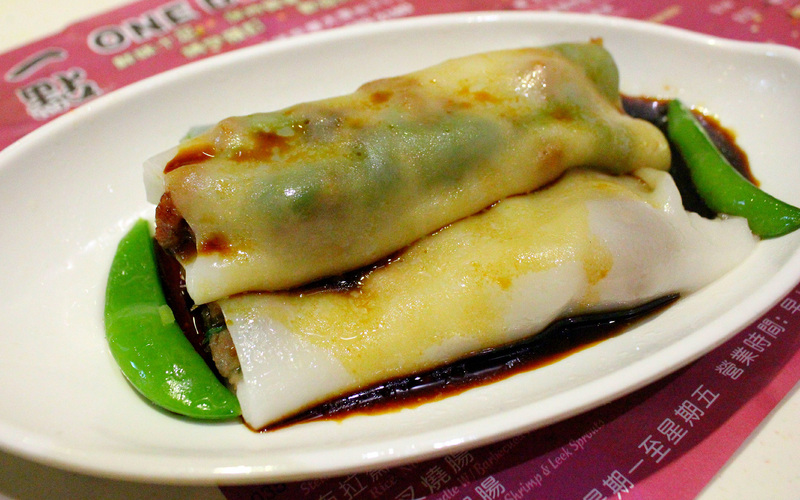 Steamed Rice Noodle Roll (Zhu Chang Fen) was next. We chose the one that was stuffed with BBQ pork. 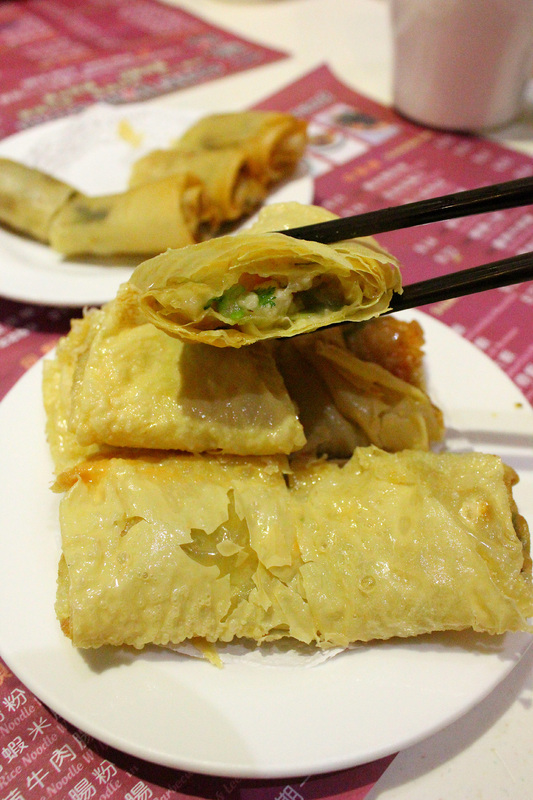 I love rice noodle roll that do not stinge in their fillings; and this was one of them! The rice noodle is not too thick and has the right amount of springy texture to it! 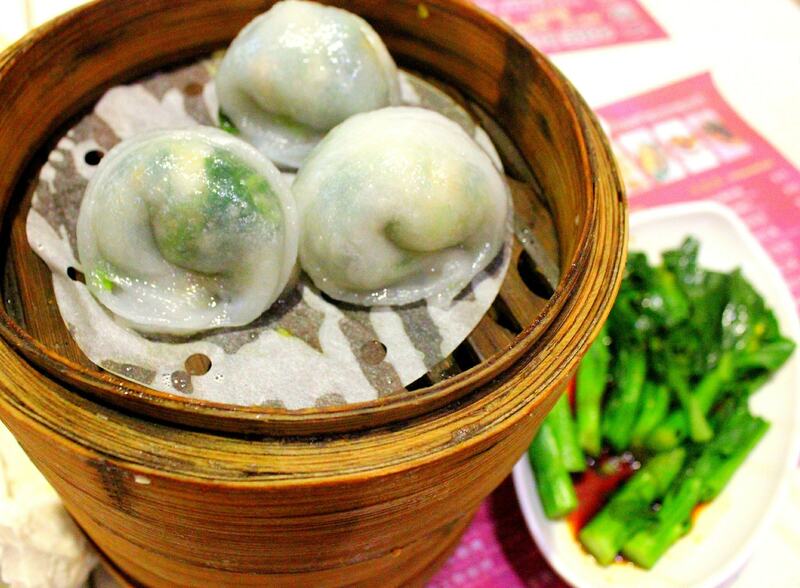 How can we forget about the steamed dumplings when eating dim sum? So for the second section, it was all about the dumplings! Steamed Sui Mai (Steamed Pork Dumplings), Steam Shrimp Dumplings (Har Gow) and Steam Shrimp Dumplings W/ Vegetable Seedling. As our final dish, though we were pretty much full- we ordered a plate of Boil Chinese Vegetable. Okay, not we… I decided that we should order the vegetable- ’cause if we didn’t I might actually reach forward and help myself to a stalk or two. The total bill was approximately HK$166. For this number of dishes at this price, it was really inexpensive! 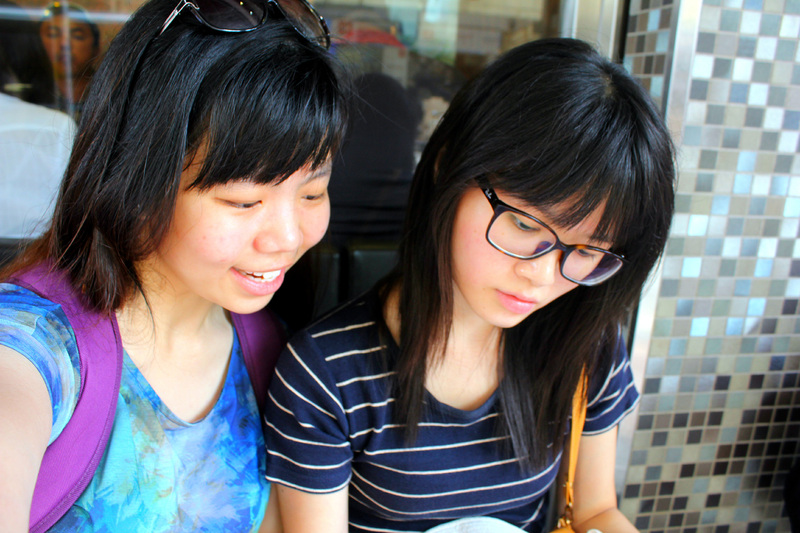 But the big question is would I want to go back there when I am in Hong Kong? Hmmm.. … Most probably not. Why? 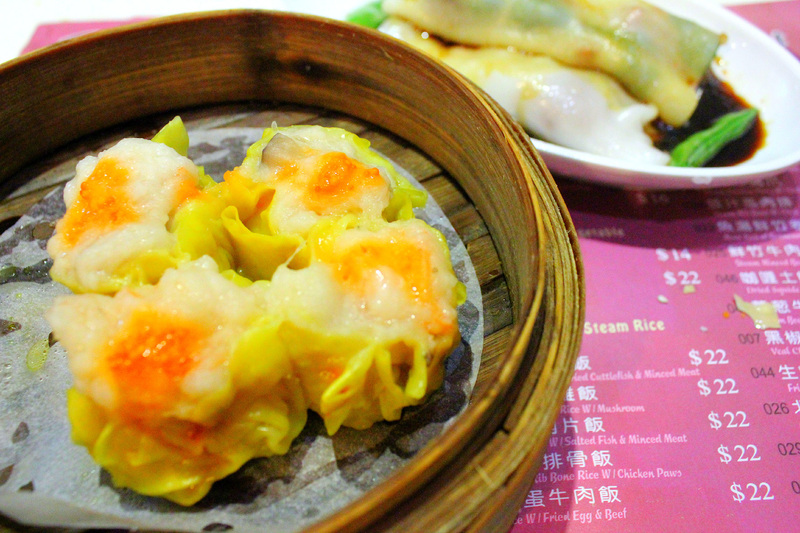 There is no lack of good dim sums in Hong Kong. And some eateries we went are really underrated. Sometimes all we need is a little fate to stumble upon a good eatery which is not widely mentioned, and you will feel like you have found a bonanza. 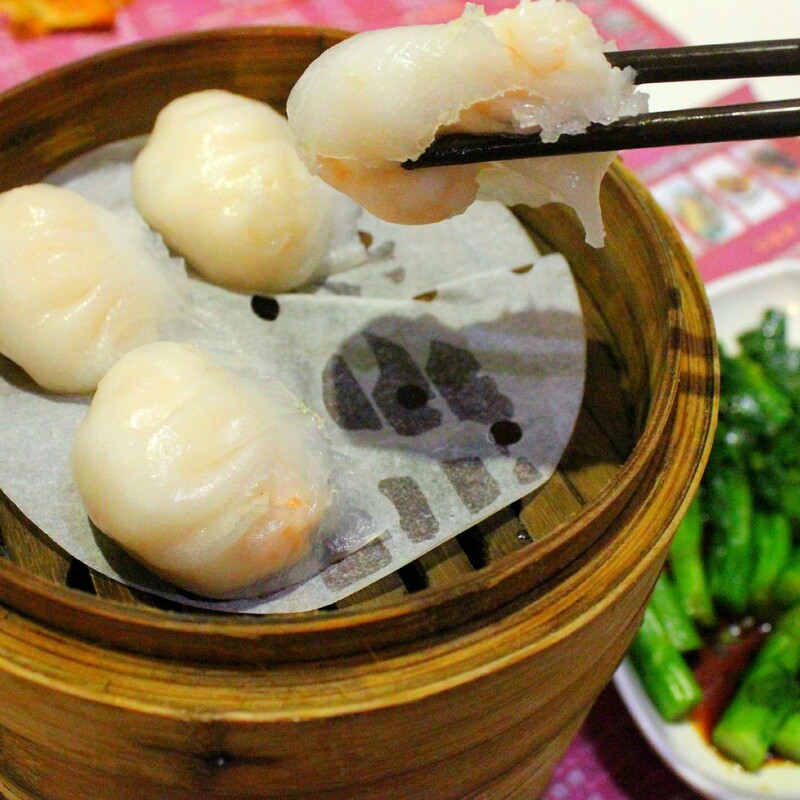 Since I had dined in One Dim Sum, and the food is well as good as other restaurants, then I reckon that a onetime experience was all I needed. I do not feel a call for to go back there and join the long queue for a meal which I could easily get at other restaurants in Hong Kong- probably with better ambience too. 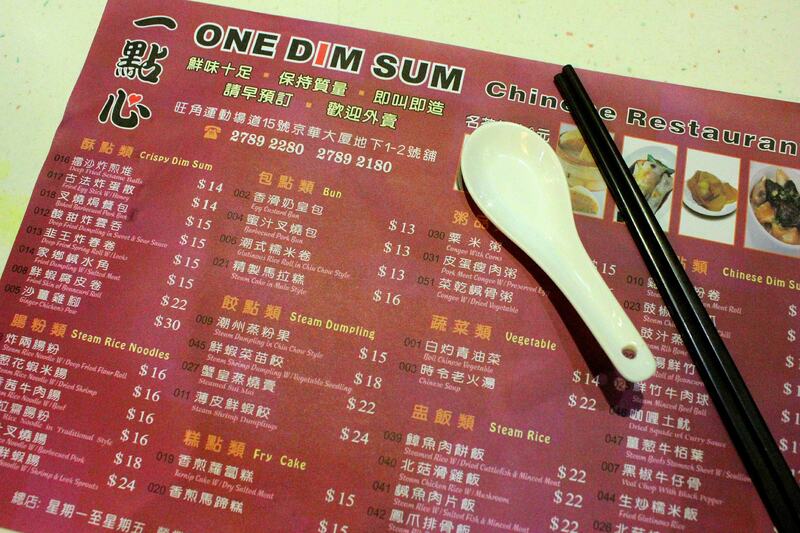 Remember to travel whenever to get yourself some DIM SUM!